Spain’s airports will cap bottled water prices at €1.60 and install drinking fountains in response to complaints from passengers to the public ombudsman. Travellers say they cannot take water on the plane, because a maximum of 100 millilitres of liquid per container up to a total of one litre is permitted through the security gates – but once on the other side, vending machines sell bottled water at inflated prices. These vary by airport, but can range from €2 to €3 for a 330ml bottle, and prices are similar on planes themselves. Anticipated law changes relaxing liquid allowances have never come into force, meaning all fluids, even makeup, have to be carried in standard sealable clear plastic bags. Some passengers take empty water bottles through security and fill them up from the tap in the bathrooms airside, but the quality cannot always be guaranteed. 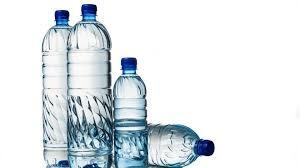 Airport governing body AENA has promised that bottled water from machines will not cost any more than €1.60, although it has not confirmed the bottle size. Drinking fountains are expected to be set up in all Spain’s airports.